We are almost finished with our new office in Lakewood Ranch. We tried to bring together a lot of natural elements such as wood and whitewash brick with the space to give a calm and subtle feeling. Very mild earth and mineral tones will round out the paint colors, wallpaper, lounge chairs and bar-stools. While the eclectic shelf items and knickknacks will bring life and color to our space. 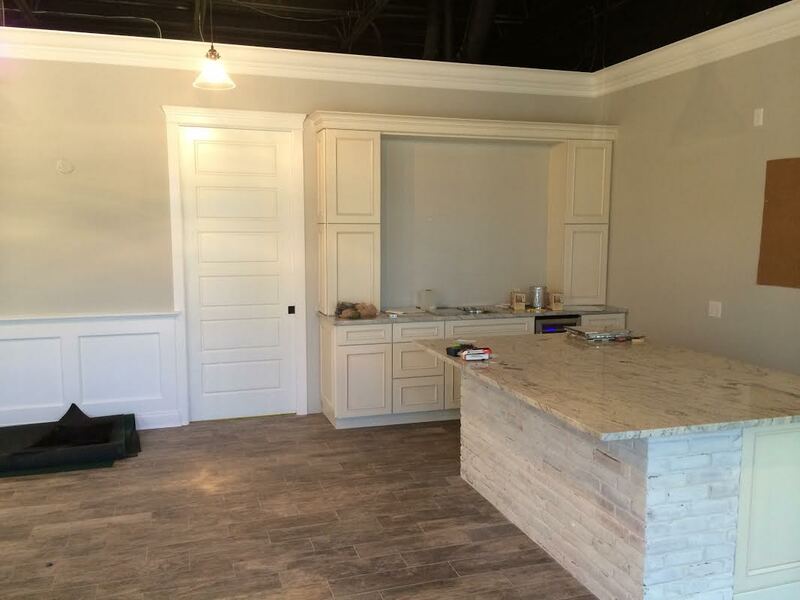 We have sample cabinets for our customers to touch and feel as well as other products like tile, wood floor, base, trim, moldings, granite samples and lighting to give our customers a better feel for the products we offer. We are really excited here at O’Connor Building to share our new space with current and future customers. We have a grand opening party planned in the future so please keep in touch with us! See you guys soon! !